Six Watch outs for Brands before running a Sales Promotion! Having been in this field in India for the last 10+ years, we’ve picked up more than a few lessons along the way. The most natural course of action for us now would be to write about ‘How to do a Sales Promotion’. But lately, we’ve come across a few horrors that affect the sales promotion industry and need to be addressed. In addition, since Halloween’s just gone by, we thought this would be the perfect time to perform an exorcism on ‘salesy’ promotions and making brands aware of five top things to watch out for, before running a Sales Promotion. Watch out: You may have a great idea for your promotion, communicated beautifully and executed flawlessly until it comes down to handling scale. When millions of entries start pouring in, handling all requests on time with limited resources leads to unwanted brand bashing from customers (on social media). What’s worse, seemingly harmless mistakes like typos, can cost your brand millions, when the mistakes are made during large-scale campaigns. 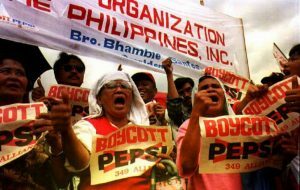 One such brand horror story took place in 1992 in the Philippines when Pepsi launched a sweepstake where customers had a chance to win 1 million pesos on getting the number ‘349’ under their bottle caps. By mistake, the number got printed on half a million bottles, fulfilling which would have cost Pepsi 18 billion USD – so they had to pull the plug on the promotion. The payouts still cost the brand 10 million USD, in addition, their trucks and bottling plants were attacked because of this mistake. What to do: Choose an agency with a history of having done large scale campaigns in your sector. Watch out: Planning a promotion is like making an investment. You’re investing in your brand’s credibility and customer delight. Promotions are much more than the reward you’re giving away. Major aspects that contribute to a promotion’s success and customer experience are the technology used, redemption mechanic set up and terms & conditions. If the redemption process is not easy and transparent, the customer will give up and never trust a promotion from the same brand. On the other hand, if the T&Cs for redemption are too long and tricky, the customer may feel cheated. What to do: Demo the redemption process and customer journey before taking the promotion live. Check the terms & conditions for each reward and keep T&Cs minimal and simple. Watch out: It’s a natural tendency for a brand or even an agency to be skewed towards certain rewards and format for a sales promotion. It’s not only boring to offer customers the same thing, but also a repetitive offer fails to break the clutter after a while. In the last 10 years, we’ve witnessed that our most successful promotions are ones that are crafted especially for the brand and occasion. For eg: we created a ‘Hair Colour Application’ reward for the launch of a Hair Colour brand – which won us international recognition and led to high sales during the brand launch stage. What to do: Look for an agency that’s ready to make the solution fit your requirements as opposed to the other way around. It may be scary to create a new reward since it’s untested, but the results are always more impactful and with an experienced agency to run your sales promotion, the risks are always mitigated basis the expertise. Watch out: Reward delayed is reward denied. In today’s time, the allure of a contest is lost when it takes longer for winner declaration and for the reward to reach the beneficiary. With the tech. available today, winners can be declared instantly. Declaring winners instantly also creates more excitement and builds virality – which is the primary objective of a contest/sweepstake. What to do: Choose an instant win offer over other options and ensure that the turn around time for the customers receiving their prize is not too long. Watch out: Due to pilferage and leakage in diverse Indian distribution channels, many times, the intended beneficiary of a reward does not even know that the brand has incentivized them. Consequently, leading to a failure of such programs. What to do: This is a classic brains or brawn conundrum where capping such leakages using logic and technology is better than policing the middlemen responsible for leakages. Watch out: In our experience of having run over 5000 promotions, we’ve seen that the most successful promotions are ones that integrate the offer across all touchpoints. 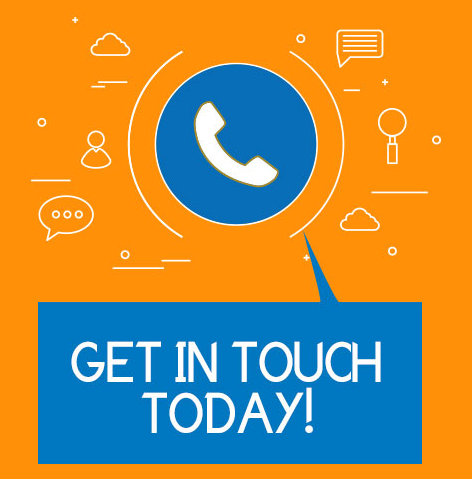 Communicating the offer consistently across various mediums like OOH, on-pack, social media, TVC, etc., complementing the main consumer offer with a trade promotion, aligning the sales front…all make up a successful promotion. The lack of these aspects limits the reach of a sales promotion, and although the brands may be offering great value to customers, most of the target audience will be unaware of the promotion. What to do: Power up! When planning a promotion, don’t just think of consumers, consider options to bolster the promotion using attractive communication and include your sales teams and trade partners to strengthen the chances of success. The area of sales promotions is gaining traction with new technologies becoming widely available. There’s no place for cutting corners, poor customer experience or ‘salesy’ promotions in the long run, that fail to deliver excellence in this growing industry. Our hope with this post is to help marketers and brand managers make an informed choice and cast out the horrors of the salesy promotion.